← 3 times a charm! Fact: I never have matching socks. Ever. No, there isn’t a monster in the dryer that eats them; I’m just lazy and throw all of my socks into my drawer with no organization or reason. Then when I go to grab a pair of socks I am never in any mood to search and find a matching pair. 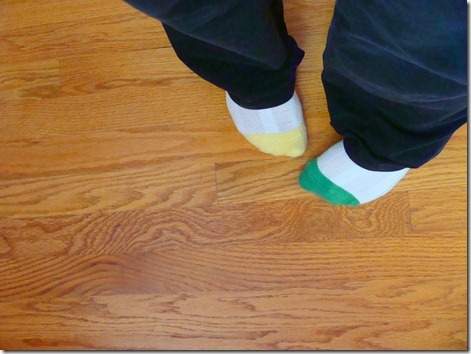 Alas – my mismatched feet. Breakfast was another yummy bowl of cold cereal. 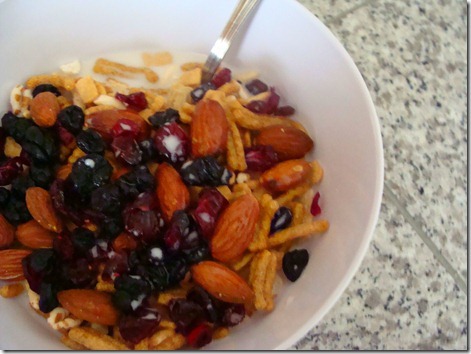 I mixed plain shredded wheat bits, Kashi twigs, dried cranberries, roasted almonds and almond milk. 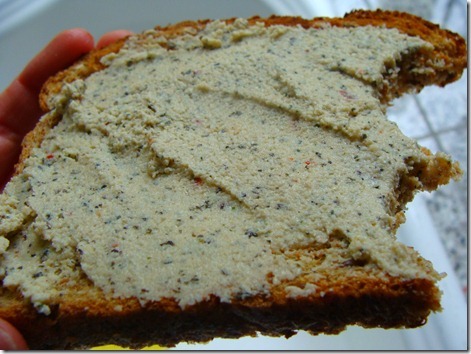 Pre-run I had a piece of toast with Cashew Spread. I had a nice 4 mile run this afternoon. Very refreshing! 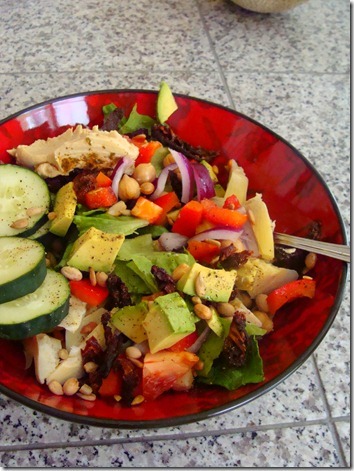 I showered and then made a huge salad for lunch. 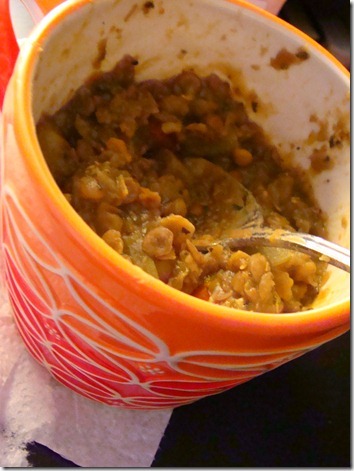 Super fresh, super tasty – it really hit the spot! 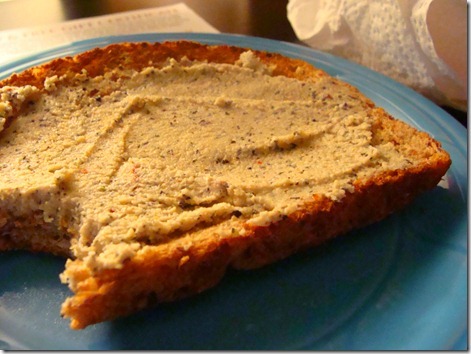 Dinner was a comforting mug of lentil soup, with another piece of toast with Cashew Spread. Can you tell I am pretty much obsessed with this spread?! If you haven’t made it yet, DO! You will not be disappointed! I have been sleepy all day – time to get some shut eye!